When Microsoft showed off its IllumiRoom concept back in 2013, I thought the technology must be right around the corner. Extending your display onto the surrounding walls using a projector—how hard could it be? Harder than I thought apparently, seeing as we’re five years on and there’s no IllumiRoom in sight. 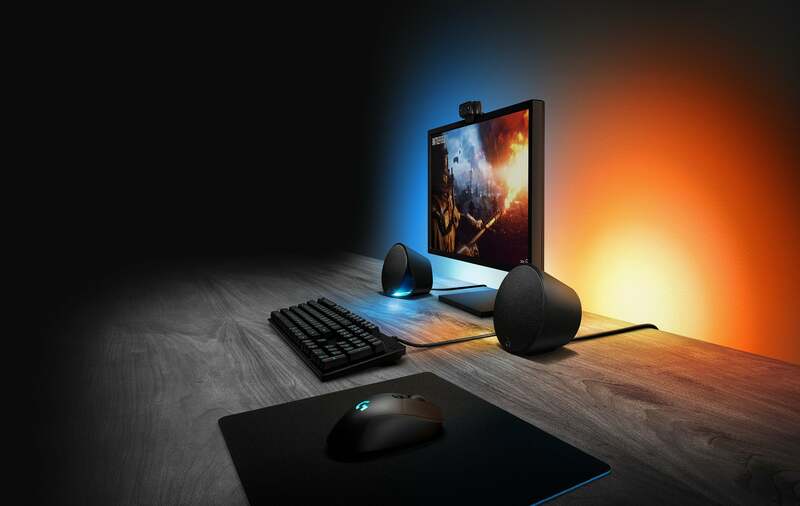 But the new Logitech G560 speakers might bring us a hell of a lot closer. To be clear, none of the tech in the Logitech G560 is unprecedented. 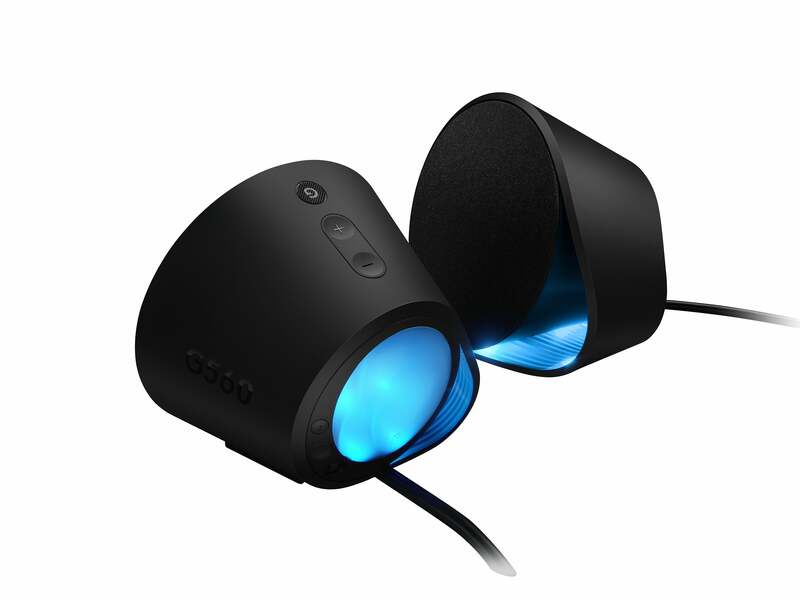 It’s essentially your standard 2.1 PC speaker system with some very large RGB lighting zones on the front and back. The front is mostly decorative, but the two rear zones are designed to splash on your wall. “Okay, so what?” Well, on the software side, Logitech is constantly sampling your display so it can keep the color of the lights in sync with what’s happening onscreen. It’s not like IllumiRoom per se, which extended your actual display onto the walls, with all the detail intact. But given this is happening in your peripheral vision, it achieves pretty much the same purpose: Making it feel like your display is larger than it actually is. The overhead is also way lower, since it’s just RGB lighting and not actual pixels for your PC to render. The G560 uses Logitech’s standard lighting API so you can also take advantage of the unique features developers have implemented—Grand Theft Auto V being Logitech’s favorite, as any police chase will set all its hardware flashing red and blue. But the game-agnostic screen sampler is probably more alluring, given the fractured RGB sector. With Corsair, Razer, Logitech, Asus, SteelSeries, HyperX, Cougar, and so on all utilizing their own APIs and all unable to come to some agreement on a standard, uptake on any given ecosystem has been slow. The G560—and indeed any Logitech hardware moving forward—can be told to sample a specific section of the screen at all times, meaning the effect works in every game, with no effort on the developer’s part. It’s cool! It’s really cool. As I said, it’s not new—none of it is. 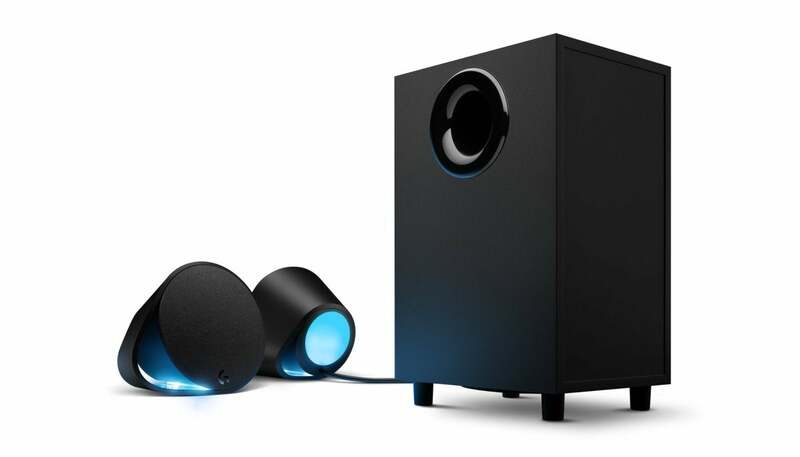 RGB-enabled speakers? The Sound BlasterX Katana soundbar I looked at last year had RGB lighting, as does Razer’s recent Nommo 2.1 setup. But neither Sound Blaster nor Razer attempted this sort of ambient lighting. Both just have small, downward-facing zones for decoration. As for ambient lighting tied to your screen, that’s been the provenance of pricey standalone RGB kits for a while now. You can achieve a similar effect with both Philips Hue and Lightpack. Philips Hue is especially impressive, and I’ve wanted a kit for a while—but that’s just the problem. I’ve wanted a kit for a while because it’s so damn expensive, coming in at about $50 per bulb. Per bulb! Lightpack is more affordable, but it’s a DIY kit you fasten around the edges of your monitor and the result is a hydra of wires that I’m not willing to deal with. And at $90 for the kit, it’s also not cheap. So the G560 has a few advantages, as I see it. It’s easy to explain, because it’s speakers first. 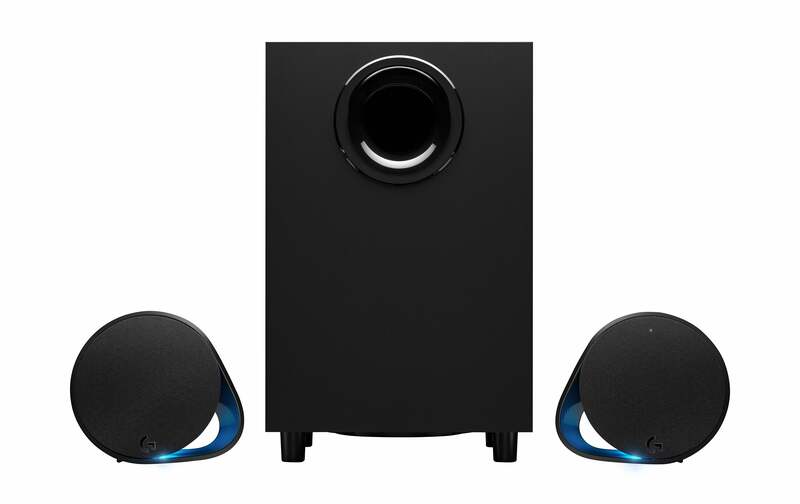 It’s the usual 2.1 setup many people already buy for their PC, two satellite speakers and a subwoofer. Easy. And because it’s functional, not just decorative, it’s also easier to justify. You’re already in the market for speakers, and the RGB functionality is just a cool bonus. It’s not like Hue or Lightpack where you’re buying it purely for lighting. They also sound surprisingly good, at least from the limited testing I’ve done. They get loud, there’s little distortion, and the bass is very tight and precise. These tiny 2.1 setups have come a long way in the last decade or so. Very limited testing though, I’ll admit. I’ve got plans to do a full review in the not-too-distant future, which means I’ll be putting the G560 to a more rigorous standard. I want to check out its built-in visualizer tool, set up a few game profiles, and (most of all) annoy my neighbors by listening to music a bit too loud. It’s for work purposes, I swear. 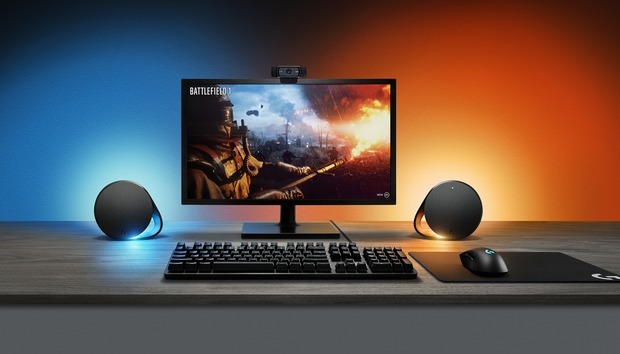 The Logitech G560 is already available to preorder for $200, and it's supposed to launch in April—not the cheapest set of speakers, but pretty reasonable considering most decent 2.1 setups run in the $120 to 150 range. It’s a bargain compared to that Sound BlasterX Katana I mentioned earlier, which listed at $300 originally. And hey, it’s the same price as four Philips Hue bulbs. Maybe that’ll put it in perspective.